I always inclined towards having lighter hair. Naturally, I get highlights in Summer, but they go away as soon as it’s gone. So, a few years ago I started inserting extra highlights. Last time, without my personal intention, my hairdresser inserted way too many and I ended up being almost blonde. I have now embraced my blonder self, although it’s not exactly what I initially wanted. But I knew I have to take good care of my long blonde locks, as they got dehydrated, easy to break, and less shiny due to the treatment. Luckily, the timing was good. 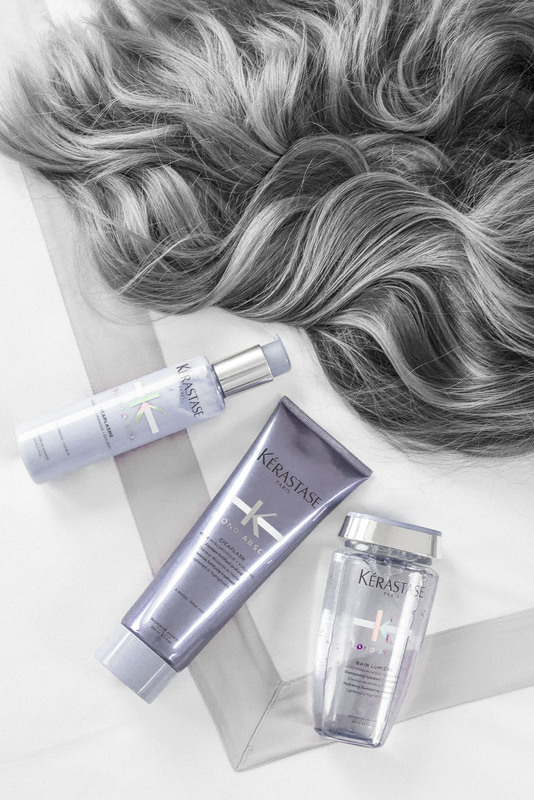 You know how much I love Kérastase, and now the brand has released a series called Blond Absolu – which became the solution to how I take care of long blonde locks. There are two type of product ranges in this series. The more intense one – Blond Absolu Ultra Violet, which I intend to try this Summer when I get brassy. It promises to deal with all those undesired and overly warm shades of blonde, making color appear cooler. Haven’t tried it, so I can’t give feedback on it yet. However, the other product range which I’m using at the moment is called Blond Absolu Lumière. It provides instant fiber care. The hyaluronic acid fills & strengthens fiber damage from within and resurfaces the cuticle. The Edelweiss Flower anti-oxidative power works against daily damage, softens and calms sensitized fiber. The hair gets an illuminating shine. I honestly did notice difference the first round I tried Blond Absolu Lumière. Plus, it provides the hair with a light feeling, and on a personal note – my hair feels balanced, being able to look clean and be bouncy a minimum of 4 days in a row. After the bain shampoo I use the Cicaflash Conditioner which has the nourishing power of a mask with the light touch of a conditioner. In fact, I think because of its lightweight formula the hair doesn’t weigh down, but gets a nice volume. To finish off I now also use the Cicaplasme Hair Serum – a heat-protecting serum for all blonde hair types. Infused with antioxidants, it provides smoothness, lightness, and protects from heat up to 230°C. Apart from a nourishing agent, it is very important to use heat protectant when hair has been bleached. That’s why I like this product – it’s a mix of two in one. And the aroma is quite nice, too! So, if you dare to go blonde or blonder, I recommend you try the Blond Absolu series, according to your own hair needs. 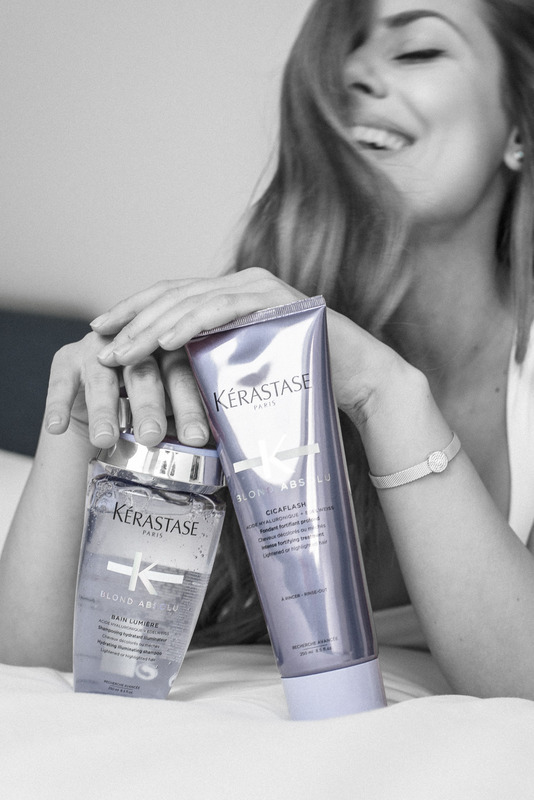 It’s become one of my favorite Kérastase series, together with Aura Botanica Riche & Extentioniste. *In collaboration with Kérastase. All opinions are mine.